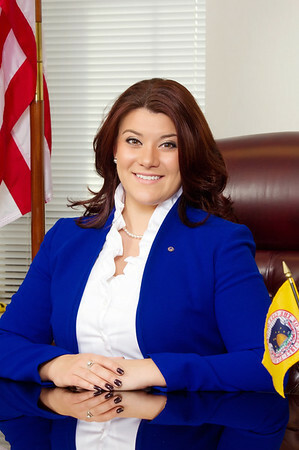 NEW BRITAIN - In its first meeting in about a month, the Common Council will meet Wednesday to discuss several purchase orders and consider overriding a recent veto from Mayor Erin Stewart. On Aug. 8, the council voted 8-4 to reinstate the residency requirement for all department heads. The move expanded the requirement to the directors of public works; support services; recreation and community services; finance; economic development; health and building services; community development, and human resources. Previously, only the police and fire chiefs needed to live in the city. Democratic Alderman Carlo Carlozzi said the Democrats will attempt to override Stewart’s veto. Ten votes are needed to override the veto - there are nine members of the council’s Democratic caucus. n The council will discuss a standing purchase order for sand to be used on the roadways this winter. Public Works Director Mark Moriarty is recommending the purchase order for this winter’s sand be awarded to Herb Holden Trucking Inc.
Of the five companies that submitted bids, Holden Trucking has the lowest bid while providing all information requested. Holden said it could provide sand for $15.50 per cubic yard for delivery to city yard and/or $9.95 per cubic yard for pickup. n The council will also discuss a $154,000 purchase order for a new driver training simulator package for the New Britain Police Department. The “Driving Force Training Simulator Package” the department is looking to buy is compatible with the interactive training simulator system it currently uses. The new package includes a driver training simulator, an advanced instructor tactical package, a motion platform, two days of on-site instructor training, delivery and set-up, and a two year warranty. The simulator comes with eight current police fleet vehicles installed and more than 70 training scenarios, allowing individual driving training regardless of outside weather conditions. It also includes an upgrade to the department’s current interactive training simulator system. Funding is available for this purchase in the New Britain Police Department’s budget account. n The council will potentially authorize a $16,645 purchase order for 300 trash containers to replace broken ones. According to the resolution, an average of 30 trash bins a month need to be replaced. The repair of trash and recycling containers due to broken lids, broken wheels and other issues is a daily work for Public Works crews, the resolution says. There are about 45,000 trash and recycling bins in use by New Britain residents. In July, resident David Kloskowski wrote a Letter to the Editor to The Herald regarding his experience with damage to his bin from a garbage truck. Since the garbage truck driver didn’t report damaging Kloskowski’s bin, the resident had to pay $75 for a new can. In other trash can-related items Wednesday, Alderman Aram Ayalon has submitted a petition asking for the Public Works Department to supply a report regarding the amount of replacement roll-out trash containers distributed over a two year period. Of that two-year period, Ayalon requested the amount of containers that were paid for by property owners and the amount of containers paid for by the City due to the trash management company’s errors, or additional reasoning. Ayalon also asked that the report include the reason for the requests by individuals, if available. In addition, over the two year period, the report should list the amount of container replacements that were repeat requests by the same property. In addition to the report, Ayalon asked for a copy of the Public Works Department policy regarding replacement of roll-out trash containers. Posted in New Britain Herald, New Britain on Monday, 10 September 2018 21:10. Updated: Monday, 10 September 2018 21:12.